Horse Grooming Kits and more. All at Horseland. A horse grooming kit is every rider's best friend especially in times of competition. Do you need to purchase one and make your horse look beautiful? 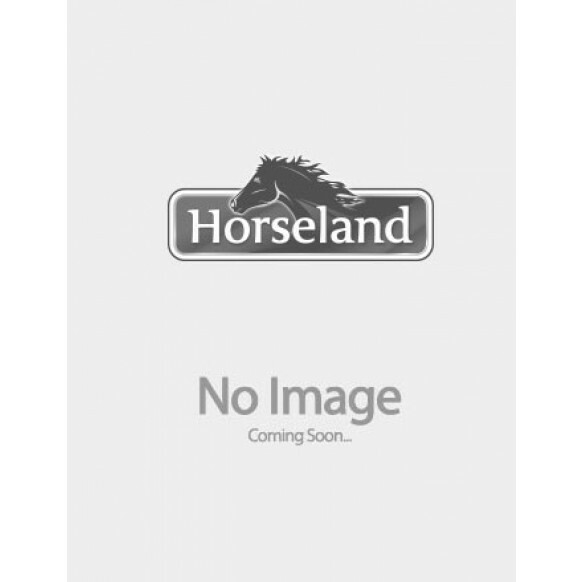 Horse Lands selection of horse grooming supplies will ensure you have everything you'll need, from brushes and hoof picks to sponges and horse vacuums. Our large selection of horse grooming supplies includes products from top names like: Roma. Grooming Box/Tote - You'll find all sorts of ways to store your grooming tools conveniently, from fabric tote bags to boxes with lids, buckets and totes. Two of the most popular and traditional methods are the plastic grooming box or tote (shown) and the fabric grooming tote. Pulling comb - Though some breed-specific guidelines allow for long manes, many horses used in sport disciplines such as hunter, jumper, dressage and combined driving have thinned and shortened manes. Shortened and managed manes make braiding possible for formal events. The simplest tool to pull manes is the pulling comb. You'll find small pulling combs that easily slip into a pocket, and those with either metal or wooden handles that are especially easy to hold. Shedding Blade - This tool has tiny metal teeth that target loose hair and caked-on mud. Many groomers favour its use during shedding season when lots of hair should be removed from the horse. Because of the slightly abrasive nature of the teeth, a shedding blade should be used with care and only on the fleshiest parts of the horse so as not to abrade the bony areas such as prominent hips, the horse's face and the legs. The shedding blade can also serve a dual purpose at bath time, as you can use the smooth side to remove sweat and water from your horse in place of a sweat scraper. Rubber Curry Comb - An economical, long-lasting and essential tool for every grooming box, the rubber curry comb is available in large and small sizes to accommodate large and small hands. Its short rubber teeth softly stimulate circulation in the horse's muscles and skin while loosening debris and shedding hair as the first tool used during the grooming process. If you can only have one curry comb in your kit, this curry is the one to choose. Stiff or Hard brush - Most grooming kits should contain a very stiff bristled brush. This type of brush is generally used just after currying to whisk away the heaviest layer of loosened dirt and hair, and is handy for removing dried mud from a horse's legs. It may also prove useful for brushing mud off hoof walls. The bristles may be made of synthetic fibres or coarse natural animal hair, and the back may be made of either plastic or wood. Extremely sensitive or thin-skinned horses may not tolerate the coarseness of the stiffest of brushes, so check for degrees of coarseness from very stiff to medium stiff to suit your particular horse. Dandy brushes are rectangular with grooves or contours on the sides of the handle for comfort in the hand. Medium Stiff/Medium Soft Brush - A medium brush is a must-have item for virtually everyone, especially those people with a sensitive horse that cannot tolerate the coarseness of very stiff bristles. Different manufacturers refer to medium brushes as either medium stiff or medium soft, but a medium brush can prove useful when your horse does not require the heavy-duty action of a very stiff brush. Medium brushes can be found in both synthetic and natural styles. Soft Brush or Soft Body Brush (sometimes called a Finishing Brush) - This type of brush is another essential tool for every groomer, and is used last in the grooming session. Its soft, fine bristles are positioned very closely together to remove the finest dust particles from the horse's coat and to smooth out the hair, which enhances natural sheen. You can find soft bristle brushes with synthetic, natural or a blend of both bristles, and with both plastic and wooden handles. Body brushes are oval and usually have a leather strap placed over the handle, while dandy brushes are rectangular. Hoof Pick - The most necessary tool in the grooming kit is the hoof pick. You can find them in all sorts of styles: those with brushes for flicking away dried dirt and bedding, those with fun shapes and colours, and those that are ergonomically designed for comfort in the hand. There are magnetic hoof picks that stick to any handy metal surface to prevent misplacement, and those that fold away into a pocket. No grooming box would be complete without a hoof pick to remove manure, mud, stones and debris from the horse's hooves.